Check us out for Happy Hour Monday-Friday 3pm - 6pm. Please call 417.522.7729 or email info@oasisfireandice.com for extensive catering information! Located inside the beautiful Oasis Hotel, our open kitchen, behind the area's only ice bar, allows you to watch our talented Chefs prepare your meal as you relax and enjoy our uniquely intimate setting. Nestled between the hotel's indoor exotic atrium and outdoor pool area, Fire & Ice brings it all together - flavors, flair, and an irresistible sense of fun - in a feast designed to satisfy your taste today and inspire you to return again and again! We have been to Fire & Ice for Easter buffet in the past and LOVED IT! But this was the worst buffet I’ve ever had, Golden Corral would have been better. $225.00, only 3 desserts, soda cost extra, no Prime Rib, cold crab leg bar....I could go on. I have called 2x to speak to the manager, but no one has called me back. Highly disappointed!!! Fun place for a night out. The food was excellent and good value for money. The service was quite good. It was a little bit loud, but not terrible. Overall a very good experience. The food was actually very good, the menu was varied, but the decor and overall ambience was yuck. It was dark with lots of laminate covered surfaces. Like something out of a cheesy 70’s movie. It’s a shame because the chef is good! It’s an ok place. But the food and ambience isnt worth the price. It’s a hotel restaurant trying to be more. But it’s not. Oh, and it’s overpriced. Waited at least 5 minutes to be greeted and seated, lunch menus were given to us instead of dinner menus. Did no like my filet being placed on my mashed potatoes, my steak was luke warm when it was brought to the table. I came to this venue based on the advertisements and was disappointed to say the least. Very good dinner. Fire and ice steak was amazing. Will definitely be back. Real good food and our server had a great smile, attitude and she was beautiful. Pub style noise level, too loud for us. Food average. Service was good. The food was good but not great. The room was freezing. The server was very casual not anything special. I wish we went to jims steakhousse. Likely will never go back there again. Too loud, too cold, more like a cheap bar with good food and high prices. Four of us dined here whilst on a road trip looking for a relaxing meal. Unfortunately the noise level was so high we were almost unable to communicate, and although the food choice and quality was good, our meal was completely spoiled by this. I appreciate this is not the fault of the restaurant, but other diners should bear this in mind before booking a table. Great food! Great service! Nice atmosphere. They misunderstood one of our orders but comped a salad & recovered with the correct order very quickly. Kailey took good care of us. My family and I were there for my grandma's birthday. 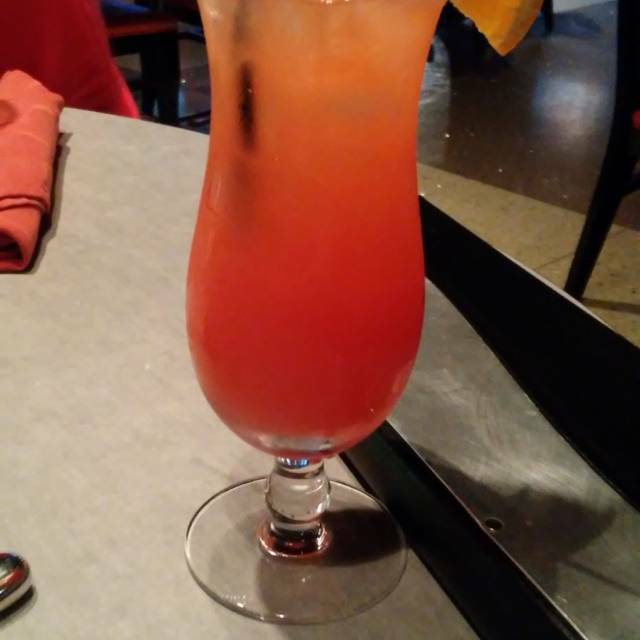 The server was not great at keeping drinks filled, but the experience was great. The server even brought out a cheesecake for my grandma on her birthday at the end of the meal. The food tasted great and the portion sizes were perfect. They were not huge, but my meal filled me up just perfectly. I ordered the chimichurri steak tips and ordered it medium rare. The steak was cooked perfectly and the chimichurri sauce was delicious. We also had children and they were able to go run around outside in the courtyard while the adults finished conversing. 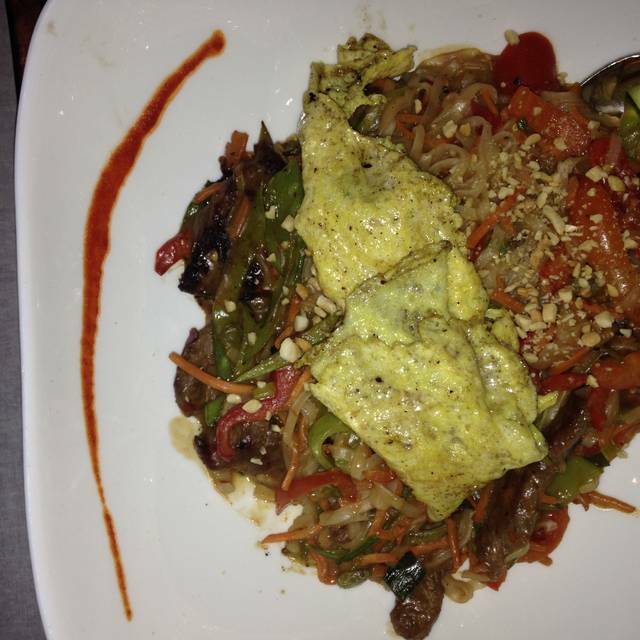 Besides the wait time from our appetizer to our dinner, we thoroughly enjoyed our first visit to Fire and Ice. The Crab Rangoon app was delicious, my Gochujang Duck was cooked perfectly and my husbands Pad Thai had the perfect amount of spice to it. Will definitely recommend to friends and family. Waitress was very friendly. My husband and I revisited Fire & Ice on a recent getaway together. Our Server was top-o-the line and made the occasion absolutely delightful. The food and drink superb. An overall 5 star experience! Thanks! We live five hours south, but between our stay at The Oasis Hotel and Fire & Ice we'll definitely look forward to our next trip to Springfield! Claudia and Gary Lester. For a fairly high end place the service wasn’t great but staff friendly and the food was only barely warm once received. Not sure if we’d visit again with the amount of choice in Springfield. First of all, I Ordered a midnight oasis drink and waitress brought me the liquid oasis. Very good drink, but didn't offer to correct it. Mine and my son's Med well filet mignon came out to the table med rare... I requested fingerling potatoes and was served mashed. Waitress brought the fingerling potatoes to the table by themselves. Sent plate with steaks back to cook some more and was gone for 15 min. Was.served med.rare.again along with the mashed and not fingerling potatoes. At this point I was HANGRY and wanted to leave! Manager came to the table to apologize but was a major douchbag and didn't take ownership...made excuses that this never happens.... He never gave me his name... Waitress was Tanaray and was very sweet. 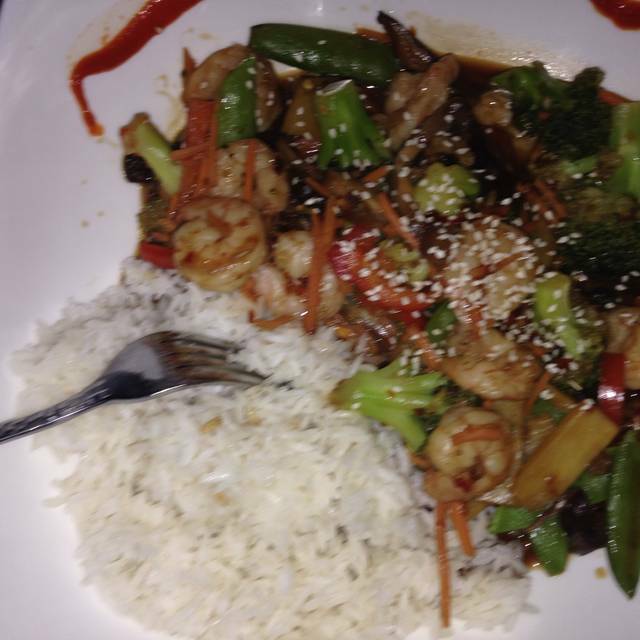 The food at Fire and Ice is exactly what the hotel would serve at a large convention. It looked and tasted like convention food--lukewarm, standardized, easy to cook for large crowds. Although the service was excellent, everything else was bland. We will not return. We were there to celebrate college graduation. The food was wonderful. We had a large selection of appetizers: spinach and artichoke dip, calamari, and flash fried spinach. All great. We also needed a gluten free entree and they had several good selections. Everyone at our table was very happy with their meal. We've been going there for special occasions for several years now and I am VERY disappointed with them to the point we may never go back. They moved their brunch to their convention center so they could serve more people. The food was average at best with little selection, including crab legs that must have been purchase frozen, thawed out, and served. Mine was almost frozen and had no flavor. There were about 200 people dining at the time we were, we waited about 15 minutes for drinks and I finally went and asked a guy that was setting up a table if someone could get us some water and tea. For this number of people they had ONE person making omelettes, I took one look at the line and walked off. Including tax and tip we spent $40 dollars a person and I've never felt so ripped off!! Price was too expensive for the experience. We sat at a card table with over sized tablecloth. There were no crab forks for the crab and every time our coffee or tea was filled cost us $2.00 and we weren’t told this. It was a nice atmosphere and our waiter was nice but I won’t ever go to Fire and Ice for an advertised lunch or dinner event. It is way too expensive for the whole experience. We have always had great food here but last visit my husband's steak was overcooked for his liking and fat was not trimmed. My Ahi was very good and reasonably priced. Kind of noisy. Service was great. Our server was the best part about our experience. Food was ok but we were disappointed with atmosphere. When reading about it, we expected it to be a little more upscale. I felt the food was overpriced which i expected it to more expensive then some other local restaurants but to charge that much and the food not even be good that's crazy I had to 30$ or so for steak that wasn't even cooked the way I wanted it then I had to make the choice to eat or send it back and wait almost another 45 mins for it to come back. We had the appetizer fried Calamary and the breading didn't even stay on at all and the red wine reduction sauce or whatever was all over my plate which I asked my sever was there any kind of sauce that came with that because I'm not one for sauces and she said no...for decoration I guess was terrible like why would you put that on there and set my potatoes and my Brussels sprouts and steak in that that was such a terrible idea! I just expected to have a nice date with my love but instead we had a not so good experience we talked about how we won't be back for sure. Not enough help, waitress was nice but too busy, food was so-so, my husbands food came out lukewarm at best. Very Nice Atmosphere, has the nice smell of a clean pool, food was really unique and tasty, service couldn't of been better. Busy on a Friday night but was seated quickly. Were seated quickly and server was extremely helpful with menu. Was party of 4 and all enjoyed their entrees and appetizer. First time there. Food was good, no surprises. Would definitely go back! Will recommend. Was not as classy as I had hoped, but the food was pretty decent . For the rave reviews we read online, I was disappointed. We had to track down a manager after sitting at our table for 10 minutes. Another 5 minutes to find a waiter. After that, it did go better. But it wasn't a four star meal and night by any means. The wait was a little long for our food. The filet we ordered was sub-par. My wife got rare and I got medium rare and they were both very chewy and under seasoned. When I say under seasoned...we had to add copious amount of salt to make up for the lack luster taste and quality. Filet should be tender and juicy and succulent. Especially for the price. But what we got was akin to buying a steak at Denny’s. That being said, the overall experience was great. The sever was courteous and nice. The drinks were good and the desert was the best part of our meal. We would go back, just not for the filet! First time there. The food was awesome!! Waitress was great! It was our postponed Valentine Day dinner as Fire and Ice was booked up. Enjoyed it very much!! Thank you for your service! Service was outstanding, the kitchen did a great job. 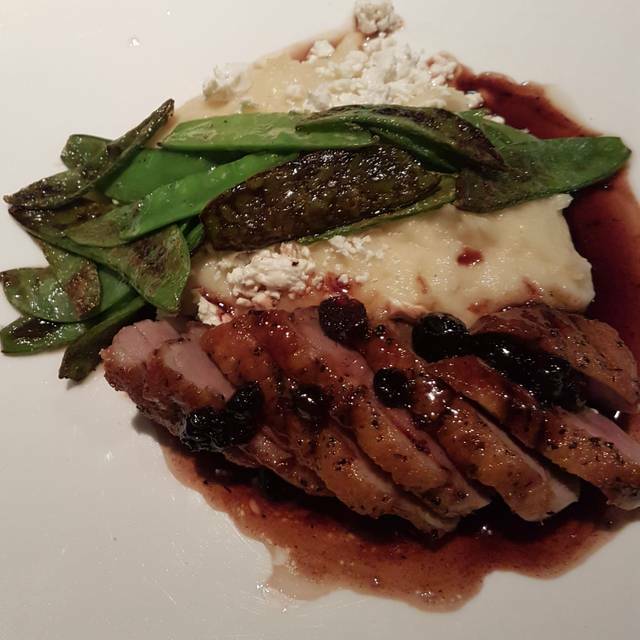 It takes a very good chef to get the duck perfect and it was definitely done right. The atmosphere was very loud and a little cold. Service was average. Our drinks from the cocktail menus took forever to be served. Food presentation and taste was pretty good but not outstanding for the prices charged. We wanted to give it a try, but will not return. Sorry FIre and Ice, we tried! We spent New Years eve with you and my wife and I both had the Prime Rib special. The steaks were AMAZING!!! I felt like is was a good meal for a fair price. Will definitely be back and told 4 additional couples later that night how good the food was! A group from my office took a co-worker out for her birthday - quick service and everyone liked the food. Good overall experience.